Yeah, it’s a little gross. Get over it. 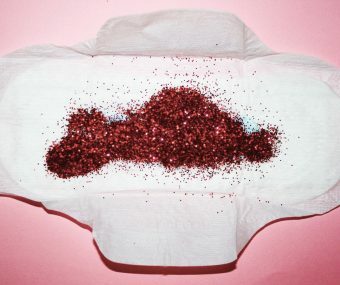 If you’ve had your period for a while, you know that it’s an ever-shifting adventure. When will it come? How heavy will it be this month? What color will it be today? 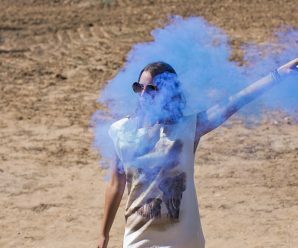 Isn’t it fun to be a woman? 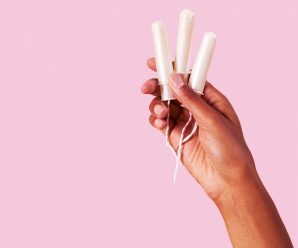 The answer, usually, is that if you’re wearing white and/or have forgotten to replenish your supply of tampons, that’s when your period is most likely to start – and it will be heavy and bright red. 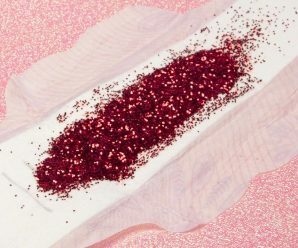 If you’re lucky, the first sign of your period is pink on the toilet paper when you wipe, rather than a sudden wave of the Red Sea when you least expect it. 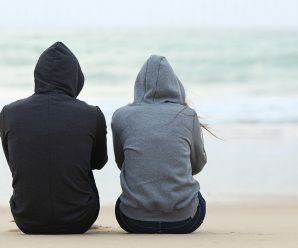 That’s because at the very beginning of your period, when your body is just warming up for the main event, it’s common for your normal vaginal discharge to be a little pink-tinged. 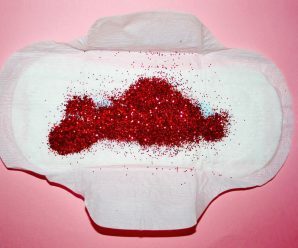 The first few days of your period, when the flow is fast and furious, it’s likely to be bright red. This simply means you’re seeing new blood that hasn’t had a chance to hang around getting old in your uterus. 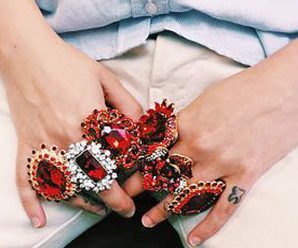 “Pink and red are normal,” says Dr Masterson. “That’s normal menstrual blood flow.” So whip yourself up an amazing snack and hunker down with your favorite terrible romantic movie. As your period drags on, the bright red blood will deepen to a darker red. This happens near the middle of your period when the flow gets a little slower and the blood gets a little older. All shades of red, stresses Dr Masterson, are perfectly normal. 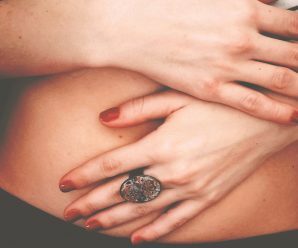 Your uterine lining is just doing its thing, so make sure you’re well-equipped with your tampons, cup, sponge, or other feminine hygiene product of choice on hand for at least another couple of days. Brownish blood is just older blood that’s been hanging out in the uterus for a while. Dr Masterson says it’s not unusual to see this at the beginning of your period, because it’s left over from last month. “A lot of times, this’ll be what you get right when it starts,” she explains. 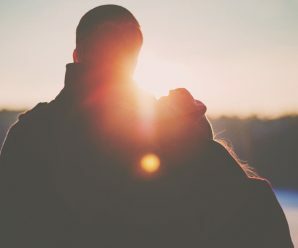 You might also see brown blood, ranging from light brown to dark brown, at the tail end of your period, when the flow slows and the oldest bits of uterine lining finally makes their exit. There is one color that’s decidedly not normal for a period, and that’s gray. If your period blood is gray, it could mean it’s mixed with mucus, which is a sign of infection. It could also mean you’re having a miscarriage. Bottom line: if your period blood is anything other than pink, red, or brown, make an appointment with your doctor, stat. Meanwhile, if you have any other questions or worries about your monthly visitor, play it safe and get checked out. Images via tumblr.com, reddit.com and rebloggy.com. Comment: What do you think is the weirdest thing about getting a period?